I've always believed that, just because a phone rings, doesn't mean that it has to be answered. Remember back when the family dinner hour was almost held as a sacred thing? 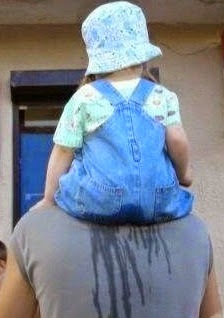 This was "family time." It was a time to catch up with each other at the end of a busy day of school and work. It wasn't about friends (unless they were invited over for dinner), it wasn't about work and the stressors of the job, it wasn't about the neighbours, and it certainly wasn't about telemarketers. This was a private family time, and to interrupt it was not just annoying, it was just plain rude. And perhaps for some of us, maybe it was even a little sacrilegious. Perhaps too, that is why the family dinner hour was (and maybe still is) also the preferred time chosen by telemarketers, because there is a greater likelihood that they would find someone at home to answer their annoying calls. I was at home the other night in the middle of my dinner when the phone rang. AT&T: Hello, this is AT&T. AT&T: Yes! This is AT&T, may I speak to Mr. Byron, please? At this point I put the phone down for a solid 5 minutes thinking that, surely, this person would have hung up the phone. I ate my salad. Much to my surprise, when I picked up the receiver, they were still waiting. AT&T: Is this Mr. Byron? ME: May I ask who is calling, please? AT&T: We aren't selling phones today, Mr. Byron. We would like to offer you 10 cents a minute, 24 hours a day, 7 days a week, 365 days a year. ME: Now, that's 10 cents a minute, 24 hours a day? ME: I am definitely interested in that! Wow!!! That's amazing! ME: OK, so will you send me checks weekly, monthly or just one big one at the end of the year for the full $52,560; and if you send an annual check, can I get a cash advance? ME: You said you'd give me 10 cents a minute, 24 hours a day, 7 days a week, 365 days a year. That comes to $144 per day, $1008 per week and $52,560 per year. I'm just interested in knowing how you will be making payment. AT&T: Oh, no, sir. I didn't mean we'd be paying you. You pay us 10 cents a minute. ME: Wait a minute, how do you figure that by saying that you'll give me 10 cents a minute, that I'll give YOU 10 cents a minute? Is this some kind of subliminal telemarketing scheme? I've read about things like this in the Enquirer, you know. ME: THERE YOU GO AGAIN! Can I speak to a supervisor please? AT&T: Yes, Mr. Byron. Please hold. At this point, I begin trying to finish my dinner. ME: Is This A T &T? ME: (I had to swallow before I choked on my food. It was all I could do to suppress my laughter and I had to be careful not to produce a snort.) No, actually, I was just waiting for someone to get back to me so that I could sign up for the plan. I was on hold once again and managed a few more mouthfuls. I need to end this conversation. Suddenly, there was an aggravated but polite voice at the other end of the phone. AT&T: Hello, Mr. Byron, I understand that you are interested in signing up for our plan.? Well there you have it. So next time the telemarketers call, don't just hang up; that would be boring. Play along. Ask them to hold a moment and then pass the phone to your three year old and tell her/him that it's Santa. On the plus side, the kiddies probably enjoy talking on the phone, and you can go back to enjoying your dinner. You're welcome. POSTSCRIPT: I take no credit for the above story or it's corresponding photo. Neither is original to me, nor do I know the source or to whom to give credit. If someone knows the source or author/artist, please drop me a note with the details through a comment. I'd love to give proper credit. Thanks in advance. on the laps of their parents." In a world often full of sad and depressing news, it's a real welcomed treat to come across a nice and wholesome feel-good story for a change. This is one such story. Meet a school teacher from La Gloria in Columbia by the name of Luis Soriano. His passion for almost thirty years now has been to bring books to less fortunate children right into their communities. Since these children had no other access to reading material, Mr. Soriano was concerned that they were unable to even do their homework. Assisting him, often several times a week and over countless kilometres, are his two cleverly-named donkeys, Alfa and Beto. Together they form the Spanish word for alphabet: Alfabeto. Untold thousands of children have benefited over the years by the Biblioburro. This story made my day. Kudos to Luis Soriano. 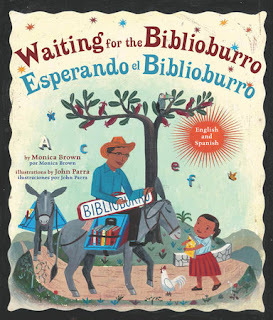 For more of the Biblioburro story, click HERE.